Conveniently located in the heart of downtown Ottawa offering prestigious spa services that are tailored and customized to each client’s needs. Using a holistic framework to pamper guests, most beautification processes and spa services include complimentary wine and/or a charcuterie board for an epicurean addition to your visit. Emmanuel Vien brings his passion for aesthetics through natural beauty. With a keen interest in organic skin care treatments and beauty services he delivers exceptional skills to his craft. 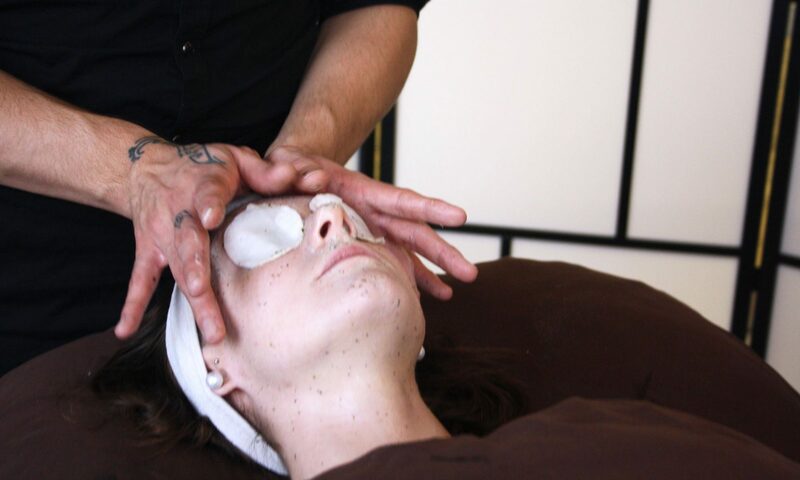 Emm has gained extensive training from his past experiences working in the industry since age 15, followed by aesthetic courses at Versailles Academy (Ottawa) & Organic skin care company Éminence Organic Skin Care (Ottawa & Toronto). Emm has worked closely with skincare lines such as Eminence Organics, Panacea Herbs, Seaflora, Dr. Haushka, Dermalogica and Daniel Thompson Beauty. Emm has strong integrity towards natural, organic, and local skincare which has led him to create his own signature blends of food-grade ingredients to compliment/nurture the utmost highly sensitive skins. Emm has also many years experience behind the world of fashion shows & bridal makeup, mastering the art of versatility when it comes to different styles/skin tones and subject. Currently also working as the Local-National Artist, Emmanuel represents Daniel Thompson Beauty makeup and skincare across North America. Being closely trained by Dan Thompon himself, Emm has gained extensive knowledge & new techniques behind the world of cruelty-free cosmeceuticals. Dan personally quotes as Emm being ‘one of the best artists’ he’s ever worked with. With his fashion forward style he considers himself a ‘face expert’, helping his clients understand a prescribed skin care regimen, brow shaping and customized make up technique. Emm strives on building strong client relationships and connecting with people on a positive energy level. With a great balance between beauty services and holistic spa treatments, he will make sure you feel good about yourself by beautifying your inner-outer self.